Levin I, Lewek MD, Feasel J, Thorpe DE. Gait Training With Visual Feedback and Proprioceptive Input to Reduce Gait Asymmetry in Adults With Cerebral Palsy: A Case Series. Pediatr Phys Ther. 2017 Apr;29(2):138-145. 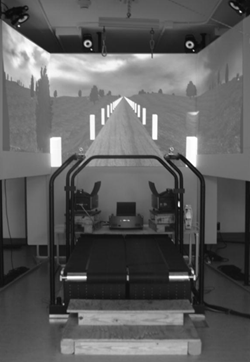 Feasel J：The integrated virtual environment rehabilitation treadmill system.